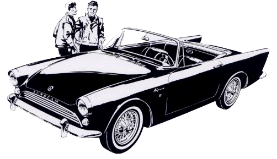 Regalia payments to the Sunbeam Alpine Owners Club Ltd. If you have received an email invoice from the Regalia officer then please use that to pay for your items. Regalia Officer in the PayPal page. At the end of the transaction PayPal will send you confirmation of your payment. Please note that after clicking the Pay Now Button it will open in a new window.